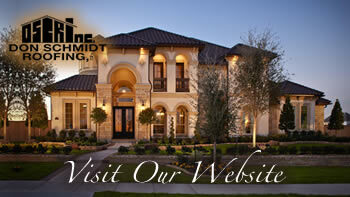 Home » Don Schmidt Roofing Blog » Save Money On A Energy Star Roof. Windows, doors and roofs make the big impact on the energy usage in your home. So just imagine your savings when you install an efficient Energy Star roof and system. You can save hundreds on air conditioning costs by decreasing your energy usage, while helping to save the environment. Energy-saving solutions for any type of roofing—including shingle roofs, metal roofs, membrane roofs, tile roofs and commercial build-up roofs—help to reduce energy consumption in both the heat of the summer and the chill of the winter. By insulating your property and reflecting the intense Florida heat instead of absorbing it, you use less energy to heat and cool your home or office building, saving you hundreds on air conditioning and HVAC costs.